If you are a friend of the Civil Air Patrol (CAP), and if you are a friend of the CAP’s Tennessee Wing, you may wish to join in a growing call for an examination by people outside of either the Civil Air Patrol or the USAF Training Command – and unbiased responsible caution would prompt you to look closely at the Tennessee Wing’s commander, Col Bill Lane. If you do look carefully, you will discover that Col Bill Lane is a trained protege of Col James Rushing. For instance, Bill Lane has long served as the Tennessee Wing’s aircraft maintenance officer. He continues to serve in that position today. Under his care, some of the Tennessee Wing’s aircraft were found by an Air Force oversight inspection to be 65 hours beyond their required 100-hour inspections. 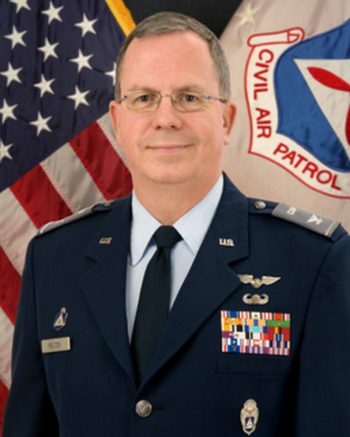 Under Col Rushing’s and Col Bill Lane’s leadership, the Tennessee Wing of Civil Air Patrol lost several highly-qualified and dedicated members who left the CAP. Col Rushing and Col Lane blatantly failed to comply with CAP and U.S. Air Force maintenance regulations. A standing joke at that time was that in order to move up in the organization, you needed to cut corners in flight safety inspections and that doing so might just qualify the Tennessee Wing’s aircraft maintenance officer for the nod to be the new Tennessee Wing Commander. Adding to Rushing’s and Lane’s failures was the awareness that Col Barry Melton was not monitoring the corporate business card purchases that the former full-time Tennessee Wing administrator, Beverly Huff, was making. Apparently, Mrs Huff would make purchases on the CAP corporate credit card or by check and would then add several personal items to that purchase. This allegedly happened for several months before Col Barry Melton and Col Bill Lane apparently decided to review the billing statements and the improper purchases were discovered during a Financial Board meeting. An untold amount of money was spent – in the hundreds or thousands of dollars – due to the absence of accountability. In past regimes, former Maj Gen Pineda (his rank later being revoked) and Maj Gen Amy Courter, the current CAP National Commander, removed Wing Commanders for their financial irresponsibility. Col Barry Melton, however, was never knowingly punished. The Tennessee Wing of the CAP has requested their annual grant through the Tennessee Aeronautics Board, a grant they have received for many years using Tennessee taxpayers’ dollars. In 2005, the Tennessee Wing lost funding from the state for poor aircraft maintenance when it was determined that the Tennessee Wing of CAP brazenly “lied” about their income from flight activities. The Tennessee Aeronautics Board requested financial statements from the Tennessee Wing on three separate occasions and got three different sets of figures – with the loss of state funding for aircraft maintenance for deflating the numbers. How will the Tennessee Aeronautics Commission respond to the child abuse information they will be receiving soon that will include statements from all parties who were the victims of Tennessee Wing’s leadership, Col James Rushing and Col Bill Lane? These Civil Air Patrol Colonels are the same ones that cut corners in aircraft maintenance; failed to collect money from proficiency flights, to the tune of $15,000.00; and participated in the child abuse cover-up and failed to monitor the use of the CAP’s corporate credit card. When “good ole boys” are promoted up the chain individuals are promoted who are incapable leaders who can’t – and won’t – deal with reality. It didn’t work making Rushing a wing commander, it didn’t work making him the CAP’s Southeast Region Commander, it didn’t work making Barry Melton the Tennessee Wing Commander, and It surely won’t work with Bill Lane as the Tennessee Wing Commander. Why would anyone think that selecting these individuals for promotions make them, and the Civil Air Patrol, more responsible? Be the first to comment on "Embezzlement in Tennessee Wing"
I think we can all agree: Scott Pruitt shouldn’t be running anything. A well-deserved, one-way ticket back to Oklahoma In coach!